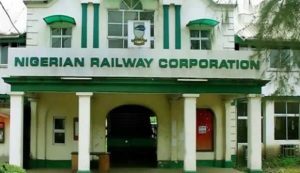 Ahead of the completion of the Lagos-Abeokuta section of the Lagos-Ibadan standard gauge rail, the Federal Government has declared free train ride for residents of the area for two months. Minister of Transportation, Mr. Rotimi Amaechi during a routine inspection of the project on Friday said the Vice-President, Prof. Yemi Osinbajo would flag off the free train ride on Wednesday next week (February 6). Managing Director of the Nigeria Railway Corporation (NRC), Engr. Fidet Okhiria had last week said the Lagos-Abeokuta axis would be completed in 10 days. Daily Trust reports that the Lagos-Abeokuta covers 85 kilometers of the entire 156-kilometer stretch of the project and as at the time of filing this report, the contractor, the China Civil Engineering and Construction Company (CCECC), has virtually completed the track laying. The Minister who spoke with newsmen said he was impressed with the work so far carried out on the project, adding that two coaches would be deployed from Itakpe-Warri railway station to make four coaches which would run the free ride for two months. On litigation challenge, he insisted that the government has paid the requisite compensation to owners of properties demolished on the right of way. However there was a mild drama in the course of the inspection when residents of Agbado protested to the Minister over erosion allegedly caused by the ongoing project. Some of the residents appealed to the government to widen the water channels to allow free flow of traffic. Mrs. Ajisekola Fausat who lives on Adesola street in Agbado, said the erosion started when it rained four days ago, urging the Minister to come to their aid.